A proximity sensor can detect the presence of nearby objects without the use of physical contact. The proximity sensor accomplishes this by using an electromagnetic field, or infrared radiation. The sensor then looks for changes within the return signal or field and adjusts itself accordingly based on pre-programmed instructions. Proximity sensors have a long functional life and high reliability due to the absence of mechanical parts and the lack of physical contact between the sensor and the target. 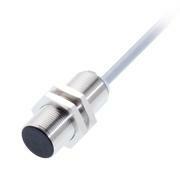 A proximity sensor that is adjusted to a very short range can often be used as a touch switch. 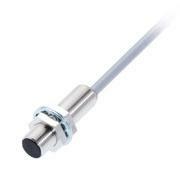 Inductive proximity sensors are the preferred choice for the majority of applications requiring accurate, non-contact detection of metallic objects in machinery or automation equipment. Inductive proximity controls consist of an induction loop of which an electric current generates a magnetic field, which collapses generating a current that falls toward zero from its initial trans when the input electricity ceases. As a distributor of Balluff, Yamatake, and Pepperl Fuchs inductive proximity sensors, we offer thousands of proximity sensing solutions for you to choose from. 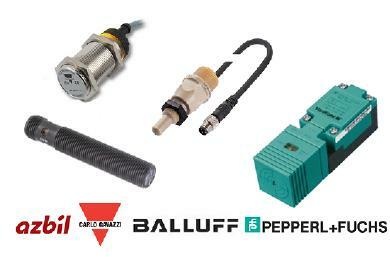 Balluff proximity sensors and Pepperl Fuchs proximity sensors range from basic cylindrical plastic to stainless steel weld resistant models. These sensor controls can withstand the most demanding applications. Click the page links below for more information regarding the proximity manufacturers that we distribute. Contact us for more information regarding our proximity controls and sensor components today, or request a quote for an in-depth price analysis.